Every successful band started somewhere, right? Maybe they sold a limited amount of EP’s for a few bucks in their local town—played some free local shows. Imagine seeing a band like that in their early years, being able to say you’ve been a fan since Day One. If a band is a gem in your mind, then it doesn’t necessarily matter if they become well-known in the indie community, but it is still enjoyable to follow them as prospectives. It’s neat seeing musicians previously featured on this site, like Piers Faccini, going from 763 Myspace friends at the time of posting, to almost 4,000 friends in just two months. Four thousand friends may not seem like a huge amount, but maybe in another 2 months it will be up to 8,000. In some respects it reminds me of the stock market. Charter Oak is one of those bands that I will be closely following. The band currently has 384 Myspace friends, but I suspect that number going up quickly in the not too distant future. Charter Oak is a five-piece band from Brooklyn, NY, led by Brendon Anderegg. The band originally formed to play songs from Brendon’s solo release, Falling Air, however, they quickly started writing and perfoming their own material. Other band members include, drummer Chris Millstein (in addition, plays with Home and Jah Division), Bassist Rob Hatch-Miller (former Music and Program Director of WNYU, and currently hosts a weekly radio show on WFMU), Pianist Lucas Jansen (played in Anthony Braxton’s ensemble at Wesleyan University), and cellist Tianna Kennedy, who has performed with various artists. 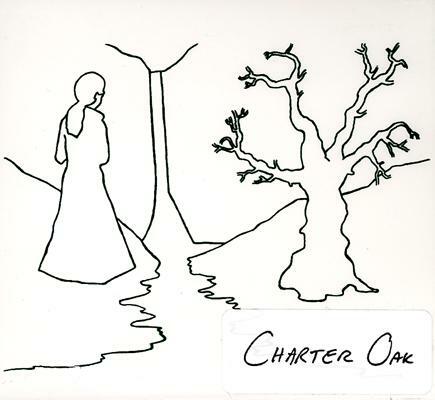 Listening to Charter Oak’s vocals and folksy melodies, I definitely hear a sound similar to that of the Mountain Goats. When Anderegg sings Brand New, it reminds me of John Darnielle (Goats lead singer) at his very best. Purchase the limited edition, 200 hand numbered copies, EP at Other Music. Are you one of those listeners who turns to Coldplay for guaranteed pleasure to the ears, but feel that you need to be stimulated with a new array of music? 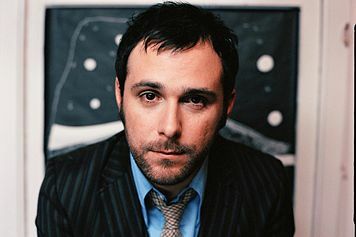 Since Coldplay won’t be releasing a new album, well… today, I have another artist to recommend that might be able to get the job done– Greg Laswell. While I do like Coldplay, their music tends to stick more to the books, with a non-offensive, very effective formula for producing alternative rock. Laswell uses a similar formula for a few of the songs on his 2006 release, Through Toledo, but there is also an experimental element present in a handful of his songs which add depth. This risk-taking strays away from the neutrality characterizing many artists, making it harder to please everyone, but at the same time, gaining a loyal following. Greg Laswell is from Long Beach, CA, and moved to San Diego, where he became involved with the music scene while attending college. He produced different artists while there, and before recently going solo, he was in the band, Shillglen. He also founded All the Rest Records, which went out of business in 2004, after which he started 20 Inch Records. Through Toledo is an album that revolves around love, and the pain that Laswell felt after learning that his wife was leaving him. The album, however, does not come across as just another one of those self-pitying, “the world has been so cruel to me” albums. It was carefully constructed, and as a unique feature, Laswell plays almost every instrument you hear on the album, even though it at time sounds like a band. For any Coldplay, Sondre Lerche, or Jeff Buckley fan, this album comes highly recommended. check out NPR for 4 minute interview, and his myspace for some more songs and video posts.